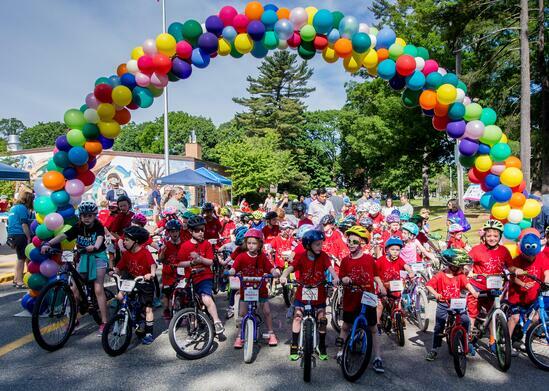 Welcome to the Needham PMC Kids Ride! 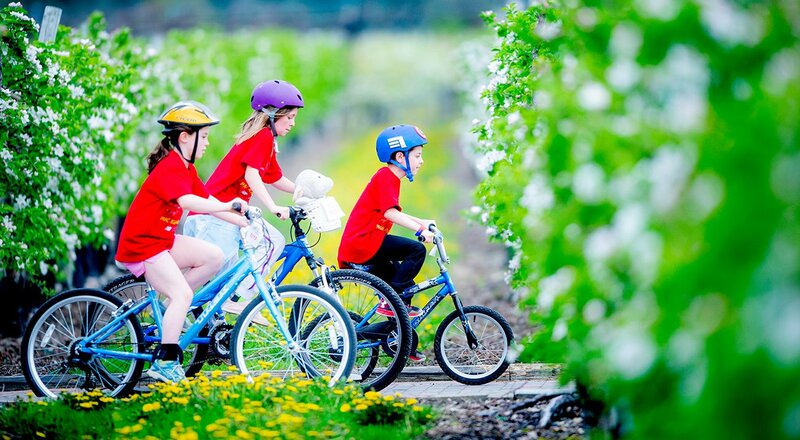 We hope that you will join us on Sunday, June 9th for the 3rd Needham PMC Kids Ride! Join us as we raise money for cancer research and treatment at Dana-Farber Cancer Institute! Last year the ride had 131 riders and raised over $23,000! 10 am - 12 pm – Post ride party! Riders and their families can enjoy refreshments, dancing, music, bouncy houses, raffles, face painting, silent auctions and more! Families are encouraged to ride or walk to the event as parking will be limited. There will be no parking on Harris Ave.
Harris Route: Continuous loop beginning at Pollard Middle School onto Harris Ave to Coolidge Ave, then back down Harris Ave to Bradford St. Per the Needham Police, training wheels are NOT allowed on Harris Ave.
Tot Lot: For our littlest riders on training wheels and tricycles, a ride will be set up in the Pollard Middle School parking lot! '47 supports the 2019 PMC Kids Rides program. Riders who register for the Needham PMC Kids Ride and pay a $20 registration fee will receive a $20 coupon to the Jersey St. store (19 Jersey St., Boston, MA) in their registration packet. Certain restrictions apply, coupons expire December 31, 2019). The Needham PMC Kids Rides relies on local sponsors to help keep costs low and so that the PMC can continue to donate 100 percent of every rider-raised dollar directly to Dana-Farber Cancer Institute. If you or your company are interested in becoming a sponsor or to donate items (pizza, ice cream, snacks, sporting tickets, gift cards, baskets, etc) please click on the button below.